Research published by environmental consultancy SWAP shows that the paint reuse scheme Community RePaint increased the amount of paint it diverted from landfill by 15 per cent last year. 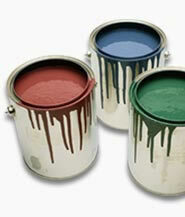 Between August 2004 and July 2005, 151,500 litres of paint were redistributed by the network's 62 schemes, an increase of 19,000 litres on the previous year. The paint was donated by members of the public at household waste recycling centres, DIY retailers and to the schemes directly. It has been used in a variety of innovative ways from decorating a lighthouse in Cardiff to painting murals. The Community RePaint network also provides additional social benefits through the creation of employment and volunteering opportunities, supporting 72 part time and full time jobs and 138 voluntary positions.